It would be fascinating to talk to sea creatures, but I know that if they could talk they would ask us only one thing: "Please use less plastic". It seems like the only way to keep plastic out of our oceans! 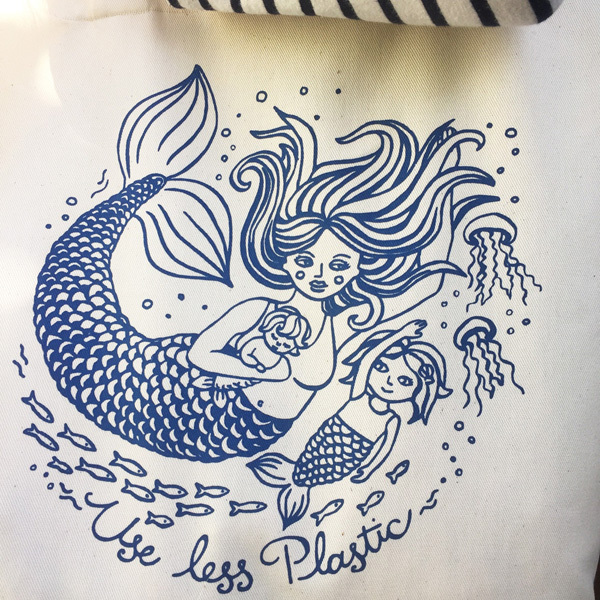 So this summer whether you are going to the beach or shopping for groceries or at a market, this bag is a gentle but lovely reminder to please use less plastic! 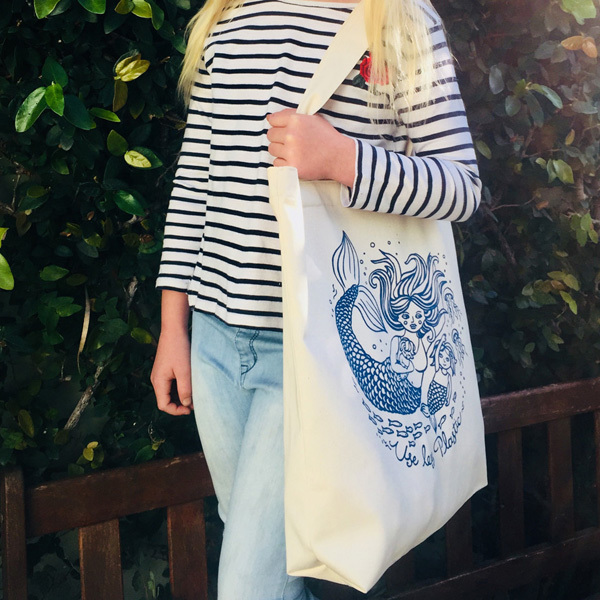 Made in Cape Town from thick 100% cotton twill and screen printed in non toxic inks, this roomy bag can fit all your stuff! 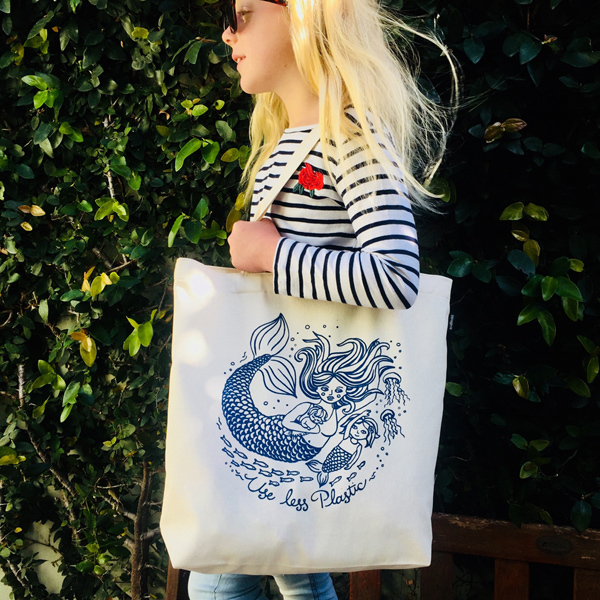 Notify me when Mermaid Mama Tote Mermaid Mama Tote Bag is available.